The pounds value has plummeted this morning after reports that UK inflation has fallen to a one-year-low. 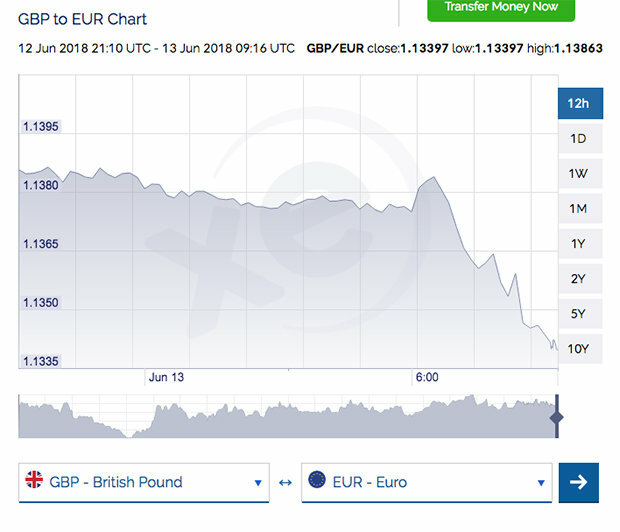 Sterling was already low against the euro but has dropped from €1.13956 to €1.13250 to the pound today. The current exchange rate is currently €1.13394 to the pound (at time of writing). This will come as bad news to Brits hoping to get a cheap early summer holiday in Europe. Finance experts had expected CPI to rise to 2.5% last month, but it remained unchanged at 2.4%. John Dolan, Senior Dealer at the forex specialists Fexco Corporate Payments, commented: “For the headline rate of inflation to remain unmoved in the face of such a big jump in oil prices can mean only one thing – homegrown inflation is softening, and fast." “With wage rises slowing, the UKs inflationary pressure is dissipating – meaning the Bank of England has little imperative to raise rates quickly. “In fact with Britains brittle economy growing at a halting pace and the retail and construction sectors stuck firmly in reverse, the Bank has plenty of reasons to delay pulling the interest rate trigger." He continued: “An August rate hike remains on the table, just, but any further slowing of the economy or softening of inflation will keep the doves firmly in charge on Threadneedle Street. Tom Stevenson, investment director for Personal Investing at Fidelity International, believes the BoE has missed the opportunity to raise interest rates this year. 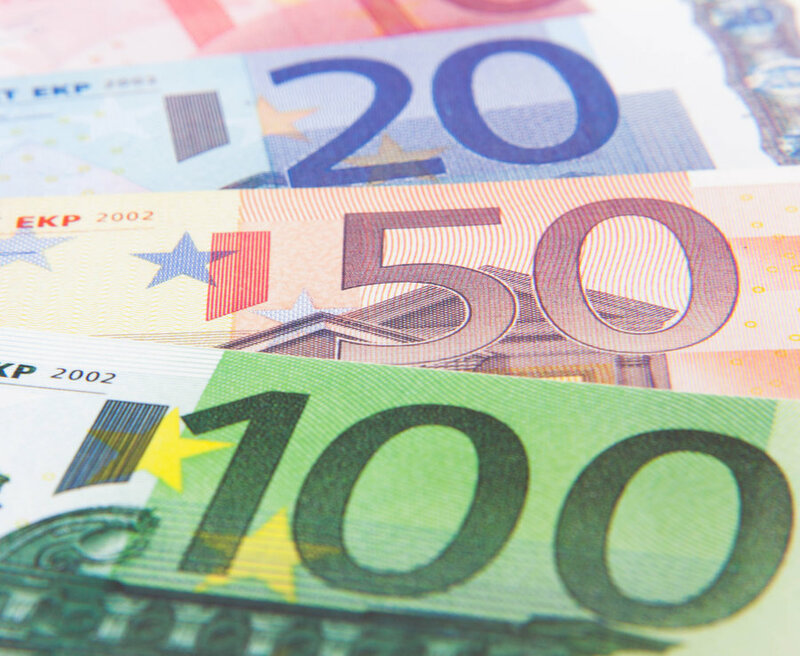 So how can you get the best exchange rate for your European holiday? 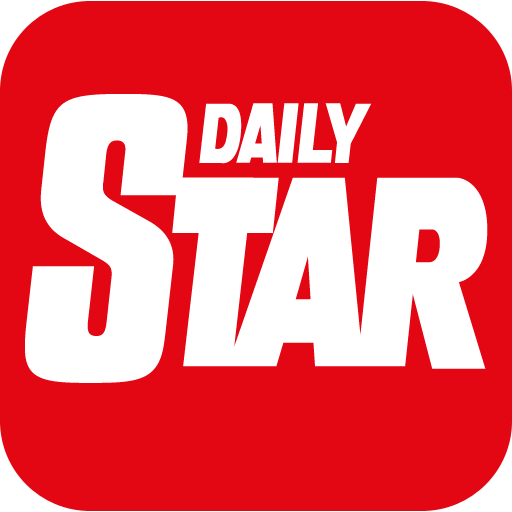 Speaking exclusively to the Daily Star Online, Retail Director at No1 Currency, Simon Phillips said: “If youre yet to book a holiday, you could consider going somewhere further afield this year where your pound will stretch further. "Regardless of the rate, holiday goers should be increasingly savvy when buying foreign currency. “While the exchange rate remains an important factor when choosing a holiday, its not the only one. "When changing your sterling, always make sure to compare currency rates online to get the best possible deal."